Do you have a creative child? 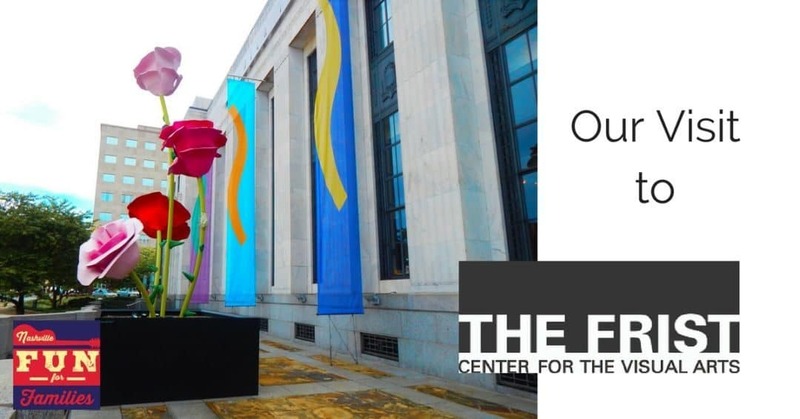 The Frist Center will spark even more creativity! 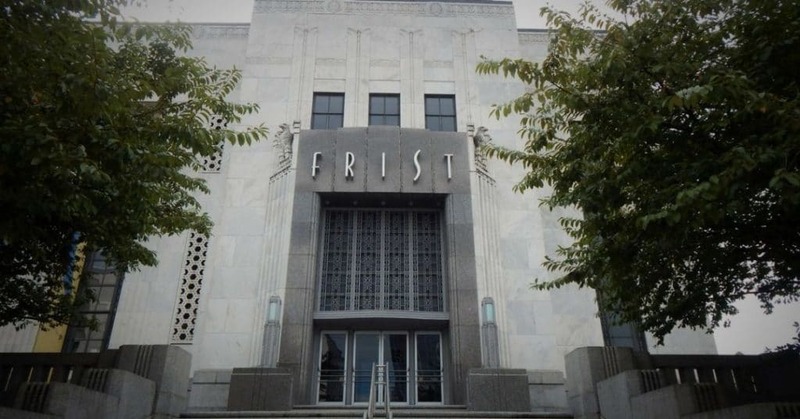 The building that houses the Frist Center was built in 1934 and originally served as the main post office for Nashville. 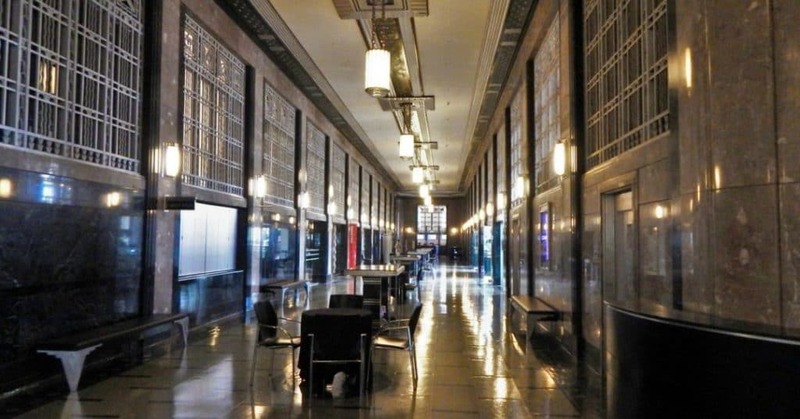 The building is art in its own right as an absolutely stunning example of Art Deco architecture. The location officially became the Frist Center in 2001. The Frist has no permanent collection and instead hosts travelling exhibitions that are available for several weeks or a few months. The schedule of upcoming exhibits is available far in advance and you can find what’s there now and what’s coming soon on their calendar. 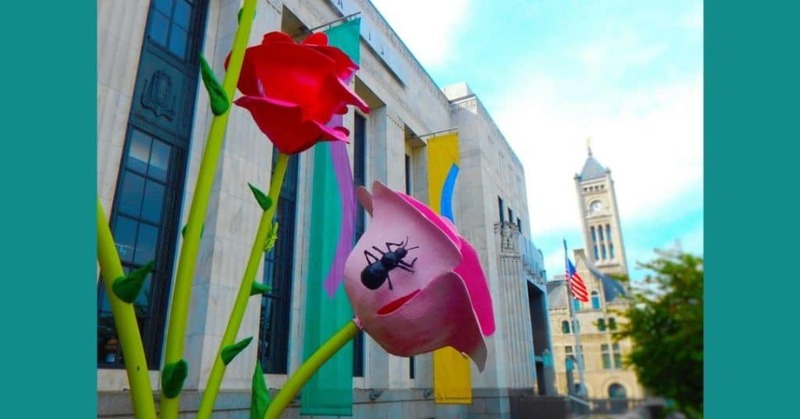 Some exhibits are more captivating to children than others, so if you plan to tour the art see what exhibit might interest you family before you go. Past exhibitions have included Egyptian Treasures, Warhol Live, and much more. With such a huge variety of offerings, like the upcoming Michelangelo collection or Italian Automobiles, there is sure to be something you and your kids will enjoy. As you enter the Frist, you will be in the Grand Lobby. (Which end of the lobby will depend upon which entrance you use.) This area houses the humongous gift shop. It also has lots of tables and seats if you just want to relax and take in the scenery. If you walk to the end of this area, you will find the visitor information center. This is where you will purchase your tickets. From there you will double back to the middle of the lobby where you can enter the actual gallery. This is a ‘No Touch’ and quiet place with pristine white walls and bare hardwood floors. The art is showcased in several different areas throughout the gallery. So our advice is to prepare your children before entering about the rules and expectations so everyone has a positive experience. After you peruse the current collection, take a trip up the stairs (or the elevator) to a completely different museum experience. In the Martin ArtQuest Gallery, all the “Don’t Touch!” from the main gallery disappears and the kids are encouraged to experience…Everything! There is an area for kids to plan, cut, collage, stencil, paint, create digital art and share their creations. There is a unique glass window where kids are encouraged to stand on either side and communicate via dry erase marker. There are stations to explore texture and self portrait drawing with a mirror. Does your child fancy himself the next Walt Disney? If so, they will love the wonderful animation station. Your child can also enjoy a station on shape building, one on horizon lines and one on still life subject and backgrounds. The ArtQuest gallery is staffed with many helpful employees who will walk your child through any of the projects. I think any school age child could occupy a whole afternoon in this area. If you choose to bring a younger child, there are a few diversions. There is a block table and a cozy corner area with picture books. They also offer a Stroller Parking Area. When you leave the ArtQuest Gallery (assuming you can drag your kid out of there) you can go back downstairs to the main entrance. 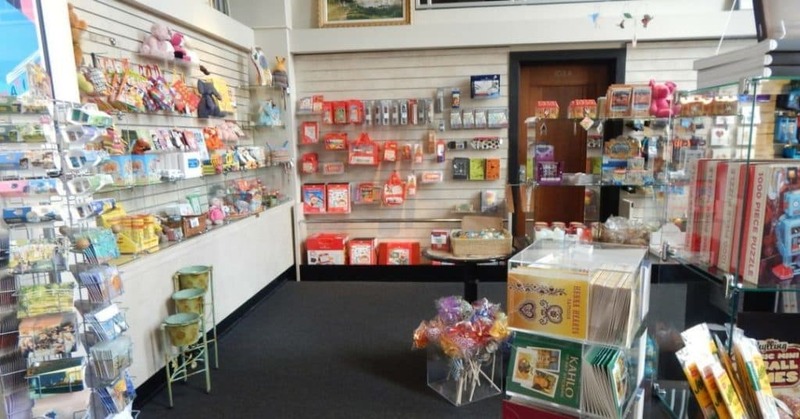 Stop by the gift store for a great selection of books and quality children’s art supplies. Follow the long hallway to the left of the ticket booth toward the back of the building. If you parked in the lot just off Demonbreun St (and you should) this is the direction you will need to go to get back to your car. There are several art pieces displayed in this hallway and it also leads to the cafe housed at the back of the Frist. On the day of our visit, the cafe was super crowded which gives me the idea that the food must be really good. They also offer ‘kid-friendly’ fare such as grilled cheese and chicken nuggets. There are tables within the cafe area and several tables on a patio outside. Depending on the weather, this would be an ideal spot to have a picnic lunch and let your little one run off all that stored energy. 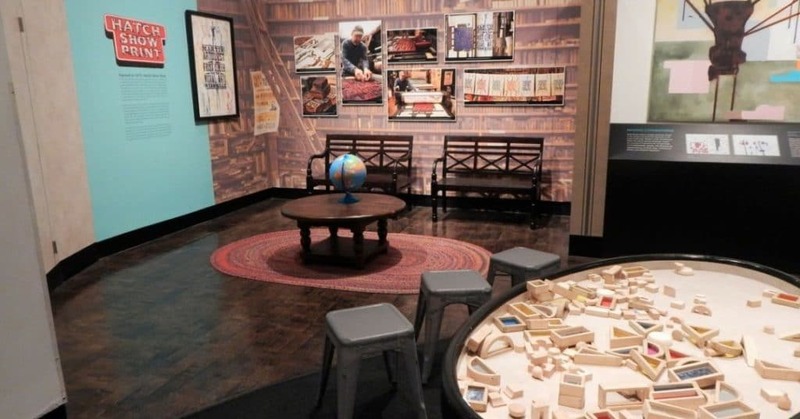 The Frist is a great place to open your child’s imagination to the world of art. 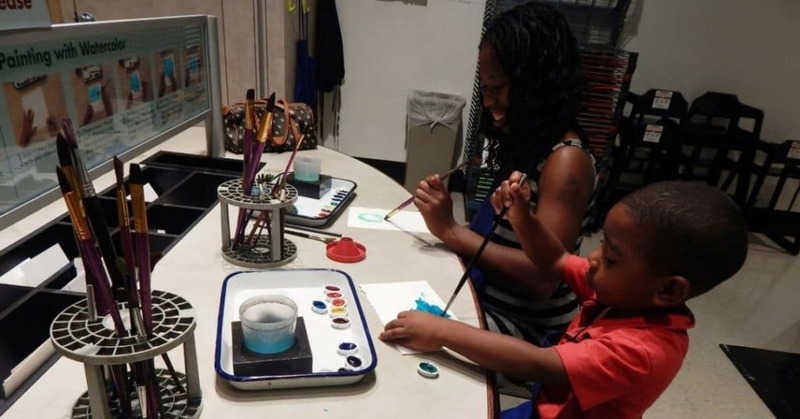 The museum not only has displays of world famous works of art, it also allows kids (and parents) to create their own art after inspiration from the Masters. In addition to Martin ArtQuest, the Frist hosts hands on workshops inspired by current exhibits called Artful Tales. We keep a running list of those dates for you here, just search for “Artful Tales”. 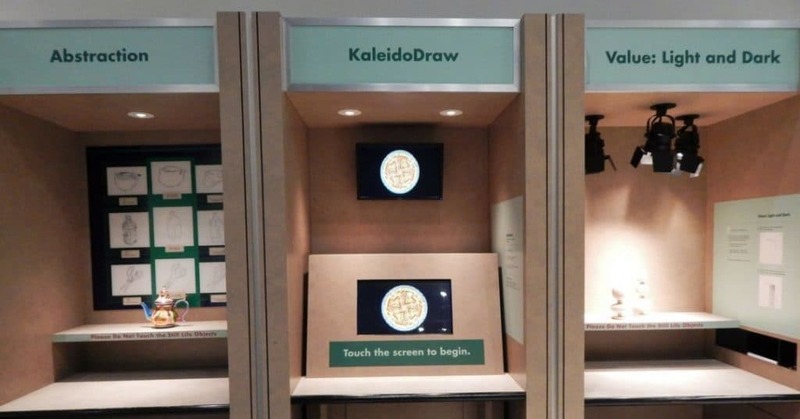 You can also experience the magic of the Frist from home on the Museum’s Frist Kids Website. Filled with ideas for activities and projects you will definitely be inspired. Then after you child creates their masterpiece you can upload it into their own special gallery on the website to share with the world! Hours : Monday, Tuesday, Wednesday: 10:00 a.m.–5:30 p.m.